Government has ensured reliable, quality, affordable and adequate power supply over the last 21 months, placing Ghana as a net exporter of electricity in the West African economic bloc, President Nana Addo Dankwa Akufo-Addo has said. Speaking at the Financial Times Africa Summit, in London, on Monday, he said his government, over the same period, brought down tariff rates, with domestic consumers enjoying reductions of up to 17.5%, and a 30% reduction for industry to stimulate industrial activity for accelerated development. 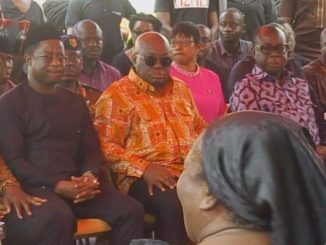 President Akufo-Addo told the gathering that his administration had reviewed some 24 power purchase agreements, which has led to the termination of 11 power deals and the rescheduling of 8 others, resulting in government treasury savings of about $7 billion in excess capacity charges over a 13-year contract period. 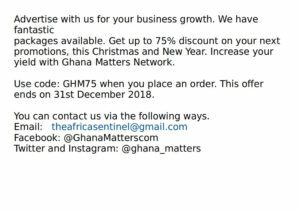 The President indicated further that, Ghana today had the best opportunity, since independence, to undertake a deliberate and meaningful transformation of her economic structure, and set it on the road to modern development. 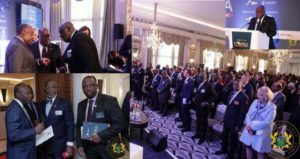 He pointed out that as a relatively new entrant in the league of oil-producing countries, Ghana had the perfect occasion to transform the structure of her economy through industrial and value-added commercial activities. 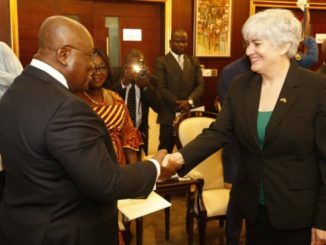 President Akufo-Addo told the forum of his government’s desire to developing strategic industries out of Ghana’s abundant natural resources of bauxite and iron ore.
We have established, by statute two months ago, a public commercial corporation, the Ghana Integrated Bauxite/Aluminium Development Corporation, to assemble the relevant financial resources for the full exploitation and development of the entire value chain, in Ghana, of our large bauxite deposits,” he said. 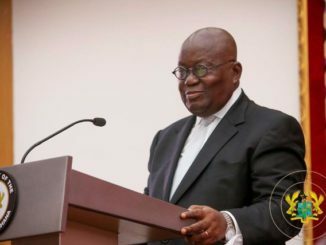 The President pointed out that Ghana had decided to draw on its substantial iron ore and manganese deposits, situated in the Western and Northern regions of the country, to build an integrated steel industry to serve the needs of our country and region. “We are seeking suitable partners for both ventures,” he said, assuring the right climate for business growth and development.